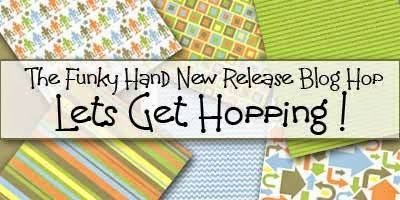 To celebrate the release of the fabulous new papers Boys will be Boys we are having a blog hop to show you just a little taster of what you can do with the new download. Get involved in the blog hop and you could be in with the chance of winning the new Boys will be Boys download set and a Bot digital stamp (a fab, fab prize!). These papers are fabulous and I have had a wonderful time playing with them. There's also a brilliant new digi character Bot, and while you don't have to use him with the papers, he does work wonderfully with them! The papers and Bot are available to buy in the Funky Hand shop from 9am today. Monday 30th September at 5:00am GMT until 12 midnight GMT Tuesday 1st October. The winner will be announced at 8am on Wednesday 2nd October. A funky paper-pieced car which is perfect for the little (and big men!) in your life. All of the papers are from the download and you can see how they work so well together and complement one another perfectly. I love this card. It's very simple but fun too. I hope you like it too. So, now you've seen what I've made, it's time to head on over to Tabbatha to see what delights she has created. Good luck with the competition and happy blogging!! This car is fabulous Sammylou. Love it. These papers do work well together don't they. I love your car and the letters too. A great card! Wonderful card! 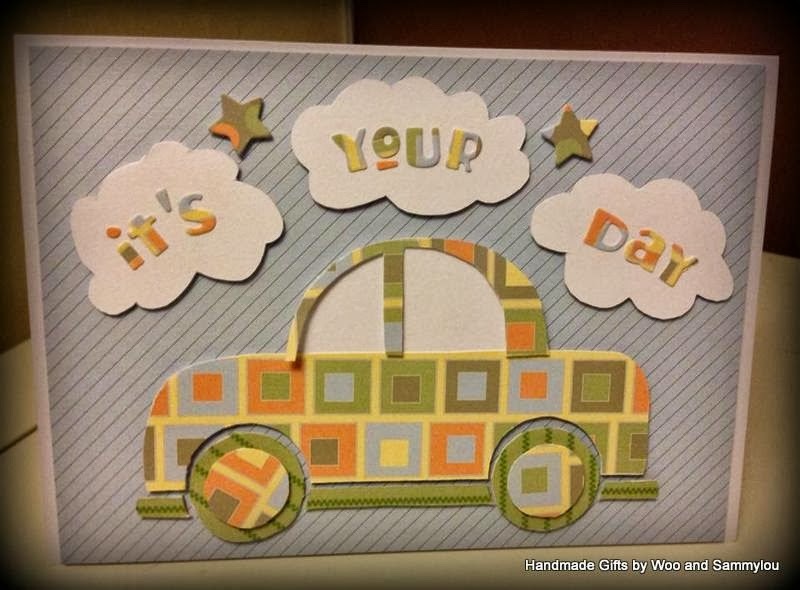 I love your paper pieced car!!! hiyah sam! oh this car is just fanastic! I love a bit of paper piecing too.